About 35 jobs in Aerospace sector. Provides our clients licensed aircraft engineers, aircraft technicians and all other aviation personnel on contract or for direct hire. To review Approved Technical Data to identify technical gaps of implementing the repair. To lead repair development/ implementation project as IPT (integrated project Team) Lead and work with other functions such as Operations, Quality, Purchasing, Planning, PMO (Project Mngt Office) and other engineering teams such as TDM (Tech data Mngt), Met Lab and Product/ Process and etc. and validate the design and functional capability of these gages required for new repairs, product and process. To develop new work instructions, routing sheets, data cards, SOPs, record forms, process parameters, repair process and required for the new repair, products & processes. To Conduct FAIRs/ FPA/ MSA/ Production Readiness required for new repairs. To lead the New Product Introduction / Repair Development Projects for Engine components. Ideally 5+ years of experience in a similar capacity in the aviation/ manufacturing industry. Good technical problem-solving skills (Six Sigma), takes ownership and hands-on approach. 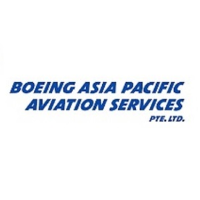 The job holder will responsible for providing aircraft systems support assistance to the airline operating ATR42 and ATR72 aircraft in the Asia Pacific region. Morning Shift: 0630 - 1530 & Afternoon Shift: 1430 - 2359 shift. Seletar and Paya Lebar non-airbase: 8am-5.30pm, 1pm-10pm or 2pm-11pm. To assist in managing and maintaining of aircraft in cabin modification, defect troubleshooting, investigation and rectification. To assist in defects and root-cause analysis, failure analysis, measurements, data collation, monitoring and tracking of all cabin issues. To conduct inspections and audits on aircraft cabins. Use of Solid Mechanics, Structural Analysis, Fluid Mechanics, Heat Transfer, GD&T, Threads, Erosion, Materials, Secondary Processes, Static and Dynamic Seal Applications, Dynamics to make design changes to address field failure issues. To create appropriate test plans and coordinate with testing facilities. Address concession requests for dimensional, material and secondary process deviations. Responsible for completing deliverables with quality, process, and schedule. Identify productivity improvement ideas and opportunities. Work with manufacturing, district teams on problem understanding and technical clarifications as required. Prepare solutions based on individual RTA (Request for Technical Assistance). Hands on experience on following engineering tools. Expertise in creating and reviewing manufacturing (machining) drawings with sound knowledge on GD&T per ASME Y14.5. Knowledge in API standards used in Drilling is a must. Hands on experience on System level tolerance stack-up analysis is required. Machine Design calculations / Selection of standard parts. Working Experience on Project Management Tools like IPMS, and PLM platforms like CWI, Enovia. Flying the left-hand seat of the versatile and efficient Airbus A320, you lead a team on-board to deliver a safe, comfortable and on-time performance for our passengers and crew! The Structures Engineer is responsible for providing technical services on engineering issues concerning aircraft, components and products between Fleet Management, Customers and Suppliers contracted to perform maintenance on the customers' fleet. Responsible to the Lead Engineer and FTM Manager for engineering issues concerning aircraft structures, components and products during maintenance and operations. operations and financial cost-benefit analyses, and to maintain Airframe SB and AD databases. Understand the customers’ engineering and maintenance operations and assist the Fleet Technical Management team in adapting procedures and processes to fit the customers’ requirements. Develop Engineering Orders (EOs) for incorporation of SBs, Fleet Campaign Directives (FCD) and other requested modifications specified. Generates Engineering Notes (EN) to address discrepancies on an airplane utilizing a non-typical repair scheme outside the scope of the structural repair manual (SRM), component maintenance manual (CMM), overhaul manual (OHM), SBs, aircraft maintenance manual (AMM) or other approved documents. Coordinate recommendations with the customers on changes that impact airplane flight operations. Support reviews and approvals of technical manual and maintenance program changes based on analysis of airline maintenance operations and reliability data. Provide troubleshooting support to the customers and suppliers, and provide root cause analysis. Assist Line and Base maintenance in the incorporation of the Structural Repair Manual (SRM) repairs and modification, and to write work instructions. Design repairs beyond SRM allowances for review and approval. Perform basic stress calculations and structural analysis on proposed repairs. Provide technical support and guidance in SRM based work and per all other approved documents when needed. Strong working knowledge of airline / MRO processes and procedures. Familiary with Singapore AviationRegulations (SAR),Federal Aviation Regulations (FAR) Part 25, 121 and 145, or equivalent, related to operational and maintenance requirements oftransport category aircraft. Maintaining relationships with all relevant airlines, aircraft and engine manufacturers and financial institutions. will have a proven track record of closing lease, purchase/leaseback transactions for large commercial aircraft. In addition, you will already have an established network with the airlines to conduct such business without further induction. You will have at least five years of relevant experience in deal origination and customer relationship management.Strong communication skills, demonstrated business acumen and a commitment to extensive travel are essential.